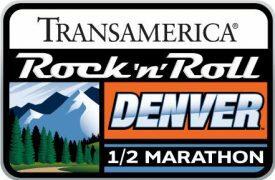 When the signal sounds to start the 2016 Transamerica Rock ‘n’ Roll Denver Half Marathon on October 16, five Denver-based Transamerica employees – dubbed the Tomorrow Chasers – will be running with a little extra motivation driven by their personal stories of inspiration. And if simply surviving and finishing the 13.1-mile course isn’t ambitious enough, the team faces at least two additional unique challenges: it’s the first such race of this distance for each of them and all five will be starting from the very back of the pack – which will be nearly an hour after the leaders begin. But it’s all for an outstanding cause. For every competitor that each of the Tomorrow Chasers passes along the downtown Denver course, Transamerica will donate one dollar to the American Heart Association, part of the organizations’ partnership that promotes heart-healthy lifestyles as integral to achieving a sound financial outlook. Bostwick and the other Tomorrow Chasers – Vanessa Diaz, Nathan Lowther, Andrew MacQueen and Bobby Mothershed – will be joined by 120 of their fellow Transamerica employees who will be running the half-marathon. As the number one killer of Americans, heart disease touches the lives of millions, including several of the Tomorrow Chasers, who are using their personal adversity as inspiration to help others through their fundraising efforts. “Transamerica’s Tomorrow Chasers program is a great example of how running can inspire change, both within individuals and in our larger communities, by linking the act of completing a distance with the act of giving. We’re honored to have these five runners on our course,” said John Smith, senior vice president at Competitor Group, Inc., organizer of the Rock ‘n’ Roll Marathon Series. The Transamerica Rock ‘n’ Roll Denver Half Marathon weekend includes a 5K on Saturday, October 15 followed by the main event on Sunday, October 16. Races will start and finish in Civic Center Park, and run through Denver’s scenic downtown and several parks as cheerleaders and live bands offer an entertaining atmosphere all the way to the finish line. On Sunday, runners will celebrate with a postrace concert featuring G. Love & Special Sauce in Civic Center Park. All runners will receive a finisher’s medal, Brooks technical t-shirt and personalized finisher certificate. With a history that dates back more than 100 years, the Transamerica companies are recognized as leading providers of life insurance, savings, retirement and investment solutions, serving millions of customers throughout the United States. Transamerica works to Transform Tomorrow® for those who entrust its dedicated professionals with their financial needs, helping them take the necessary steps to achieve their long-term goals and aspirations. Transamerica’s 10,000 employees serve nearly every customer segment, providing a broad range of quality life insurance and savings products, individual and group pension plans, as well as asset management services. In 2015, Transamerica fulfilled its promises to customers, paying more than $6.9 billion in insurance and annuity benefits, including return of annuity premiums paid by the customer. Transamerica’s corporate headquarters is located in Baltimore, Maryland, with other major operations in Cedar Rapids, Iowa. Transamerica is part of the Aegon group of companies. Aegon is one of the world’s largest providers of life insurance, pension solutions and asset management products, operating in more than 20 markets worldwide. For the full year of 2015, Aegon managed $768 billion in revenue generating investments. For more information, please visit www.transamerica.com. As chief operating officer, Blake tries to inspire Transamerica employees each and every day to embrace their company values of living a healthy and active lifestyle. With a family history of heart disease, he is proud to run side by side with his colleagues to support the life-saving work of the American Heart Association. Nathan learned about his family’s history with heart disease when his father was struck by the second of two heart attacks and survived the often fatal “widow maker.” Nathan has set up a special fundraising campaign to support the AHA as a thank you for all they have done for his family. No first time parent ever wants to hear that their newborn baby is suffering from a congenital heart defect that requires surgery before the age of one. But Andrew was told that – and he learned from his firstborn daughter lessons of strength, resilience and tenacity that he still draws on today. The idea of doing a half-marathon is both a physically and mentally daunting idea for Bobby. After the birth of his third child, Bobby watched his wife’s unfailingly commitment to return to fitness, and she provided the inspiration he needed to push himself outside of his comfort zone, become a first-time half marathoner.